How to read at work without being busted. 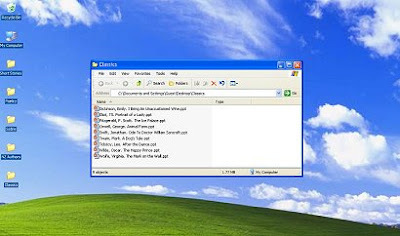 If you like to read at work but have to be careful about your boss looking at your screen, Read At Work disguises itself as a Windows desktop with the links in windows folders. You can read short stories, poetry, satire, and classic books in a Powerpoint presentation without anyone noticing you’re not working.